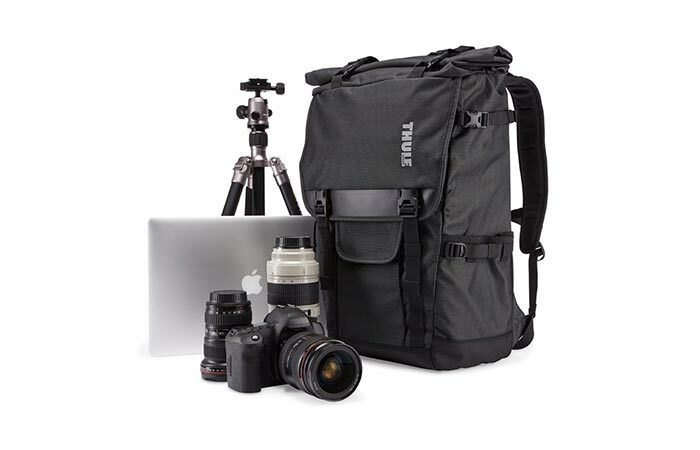 Thule continues the tradition of high-quality camera backpacks with their Covert DSLR Rolltop Backpack. This one is designed for urban explorers who want to protect and easily carry their photo equipment and personal gear. It’s rugged, stylish, cosy and most importantly, durable and great for organizing your gear. First things first, let’s talk about the material. 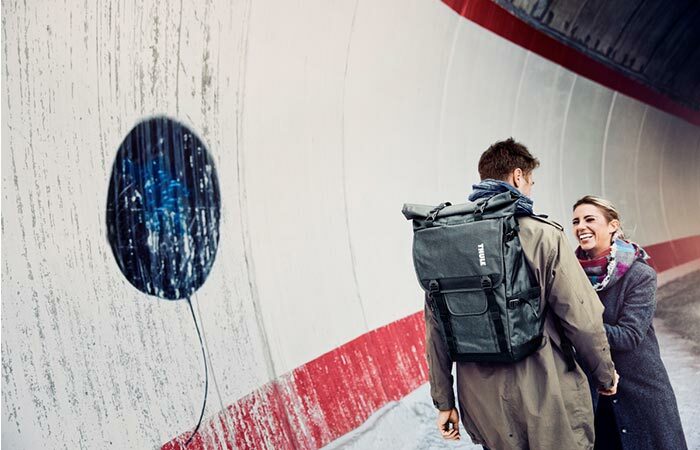 The backpack is made of two-tone Oxford material that’s water-resistant. It also features water-repellent YKK Zipper, Duraflex fasteners, and comfortable straps. 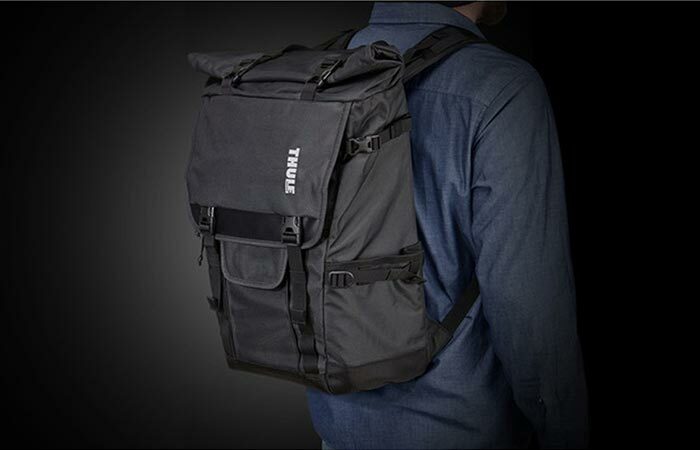 Thule produces high-quality backpacks for your camera equipment. When designing this backpack, good organization of gear was one of the priorities. Inside, you can fit a DSLR body with an ultra-wide-angle lens attached to it, as well as 2 additional lenses, flash, and a 15″ MacBook Pro together with an iPad. This one perfectly fits DSLR camera with one attached lens and two additional ones. 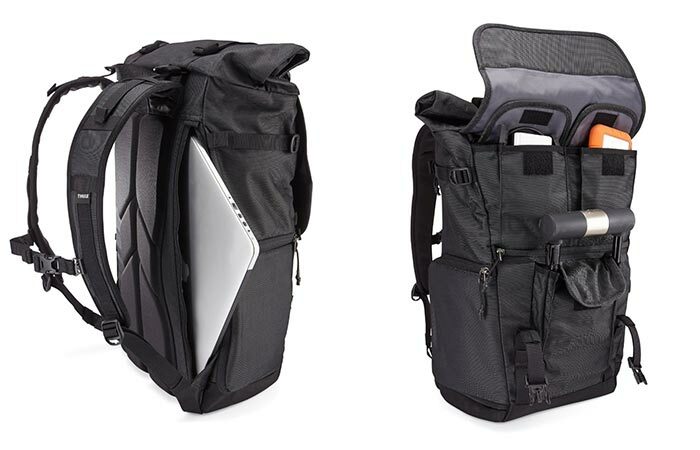 The Covert Rolltop Backpack has a removable camera pod system made for protection. It features dual density padded bottom and dividers you can fold like origami around large, as well as around small pieces of gear. The camera bag separates the top from the bottom compartment creating room for efficient organization. Equally important to its durability is the efficiency in packing. Another key point is that this camera backpack uses its capacity at a maximum level. The rolltop compartment is very spacious. You can fit your personal belongings inside of it. It also allows you to quickly stash items inside and if you need to find smaller items, the high-visibility interior material will help you out. In case you need to carry a tripod, there are multiple carrying options. Thule Covert DSLR Rolltop Backpack has the dimensions of 7.9 x 22 x 17.7 inches and weighs 4.97 lbs. Make sure to watch the video below and check out all the features in detail.